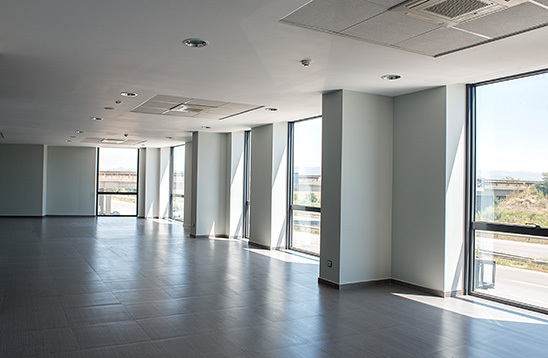 We invest in the construction and management of business, commercial and logistics complexes in Sofia and the region. We collaborate with leading design bureau of Germany by ensuring high quality of construction and maximum ease of operation of the complex. We have our own units for sale and rent, as well as Property / Facility Management of the complexes. Thus quickly and accurately satisfy the needs and desires of our customers. All our offers for rent and sale are correctly set on the basis of real size and do not involve additional fees and commissions. Our prices are reasonable and the market suggest a good product at a reasonable price. Logistics Center STAD is a modern warehouse, office and retail space. 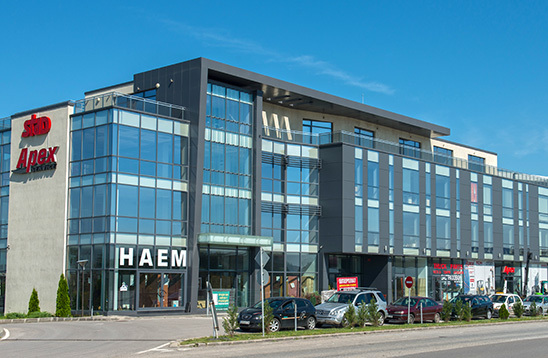 Located on the waterfront of Sofia Ring Road, near Kazichene. It situated in a strategic position – between Hemus and Trakia and near the airport. STAD logistics center offers conventional and air-conditioned warehouse with high shelves, office building and full infrastructure, including full locale for direct access from the ring road of Sofia, separate parking areas, lawns, its own power station, active treatment plant and underground tank Sprinklers firefighting system. Meet in detail with advantageous conditions for rental of office and warehouse space under one roof of the Logistics Center STAD. 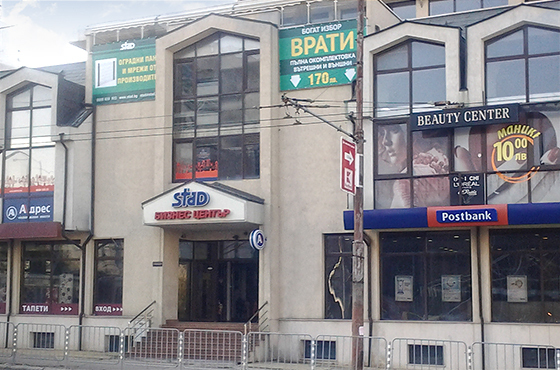 Business Center STAD is located in a very convenient location – bul. “Queen Yoanna” against DOMKO. Very good location between two boulevards, next to the metro station and 8 minutes from the city center. The Business Center offers its tenants central air conditioning, 24 hour security, video surveillance, cleaner, lift, parking. On the ground floor is a bank office of Postbank and shop. In Business Center herd is housed and luxurious spa and beauty center with a cafe. Private Data Private Data I agree that my personal data be stored and processed by STAD. for the purpose of conducting correspondence about my inquiry and the provision of the services of "STAD".